Animator and artist Hombre McSteez has wowed online audiences in the past, using his innovative combination of classic hand-drawn animation along with stop-motion in order to bring his drawings to life in the real world. 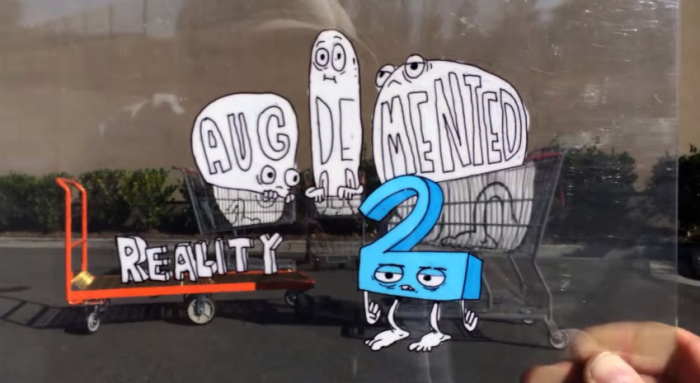 These pieces of art have come together before in McSteez’s previous video compilation, titled Aug(de)mented Reality. Now, McSteez has released a sequel to his previous animation, Aug(de)mented Reality 2, and shows off even more creative uses of his animation! Using clear plastic animation cels, McSteez draws his characters into the environment around him, interacting with it in unique and amazing ways. TV personality and MythBusters co-host Adam Savage even makes an appearance in the video! Check it out below to see some crazy and cool animation!